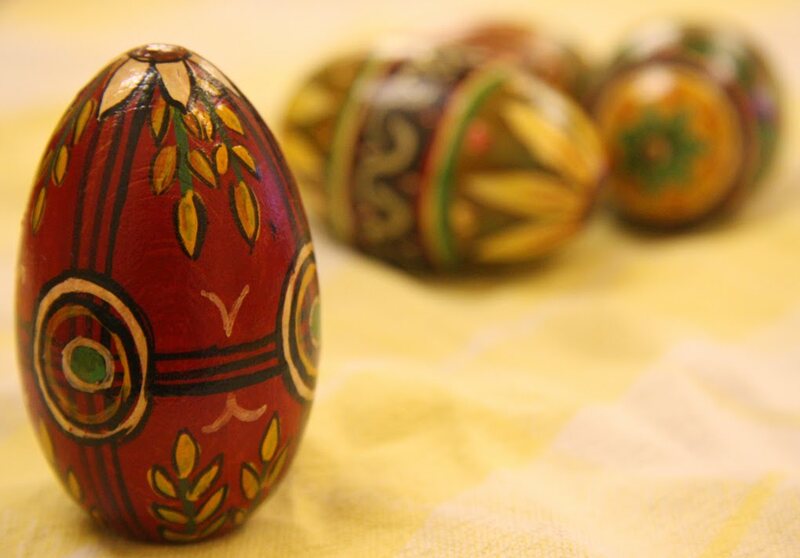 As this is the start of the Easter holiday, I thought I'd post this photograph I took of some decorated wooden Easter eggs. They were sent to my family when I was a young child and were an Easter gift from an elderly relative living in Poland, where decorated eggs are often given as presents at this time of year. At the time, I would have preferred a chocolate egg, but now I am very fond of them. For Christians, eggs are a symbol of rebirth at Easter, but they are also symbols of birth, resurrection and creation in religions and cultures all over the world. In the mythologies of India, China, ancient Egypt and ancient Greece to name just a few, gods and goddesses - or indeed all of life itself - are said to be hatched from eggs.